The holiday season would not be complete without Handel's Messiah. For many performers and audiences alike it's an annual tradition. Did you sing it in school? Was a performance of Messiah the first big concert you ever attended? Handel's great oratorio was written in just 24 days, but it has endured for centuries on the strength of its beautiful and powerful music and timeless message. 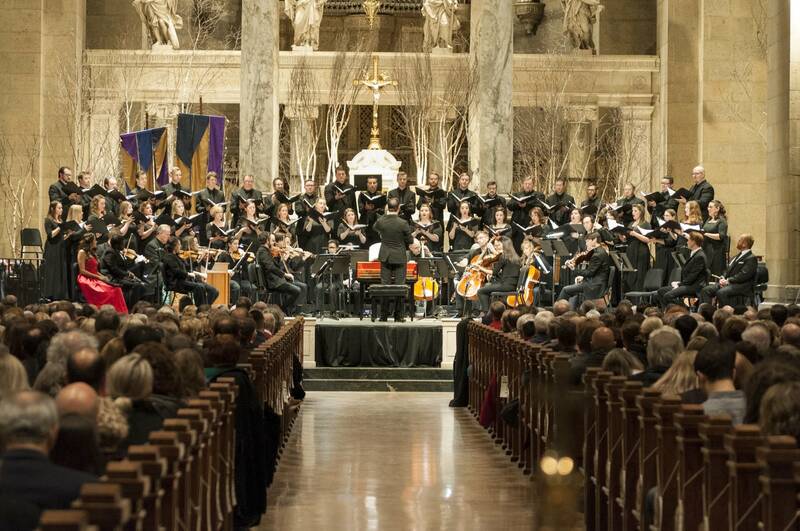 This year, the Saint Paul Chamber Orchestra is joined by the Singers, an international cast of soloists and conductor Jeanette Sorrell, known to Classical MPR listeners as the founder and conductor of acclaimed ensemble Apollo's Fire. An early-music specialist, Sorrell is the ideal person to lead Messiah with the SPCO, an orchestra she admires for its ability to breathe authentic life into baroque masterpieces. She's also committed to the drama inherent in the score. Handel was well known as an opera composer before Messiah, and it has many of the same qualities as his theatrical works. From its first performance in 1742 at a Music Hall in Dublin to the present day, Handel's Messiah has delighted and inspired listeners. Join me for a live broadcast of Handel's Messiah at 2 p.m. Sunday, Dec. 23.